Ubisoft announced a partnership with PopCap Games, the leading developer and publisher of broadly appealing video games, to distribute Amazing Adventures: The Forgotten Ruins for Nintendo DS. The game will be available on September 10, 2009 in all EMEA territories. Amazing Adventures: The Forgotten Ruins was inspired by the original 'hidden object' PC game series, but features entirely new storylines, locations, gameplay modes and challenges. "With Amazing Adventures: The Forgotten Ruins™, we're delivering brand new adventures that have tremendously wide appeal to a rapidly expanding audience of casual players." said John Parkes, EMEA marketing director at Ubisoft. Developed in partnership with Black Lantern Studios, Amazing Adventures: The Forgotten Ruins™ transports players to an archeological dig, where they discover clues and follow an all-new character-filled storyline, chronicled in a player journal that will lead them to a long-lost Mayan ruin. Rich in content and entertainment value, the game features 20 missions and 18 locations. 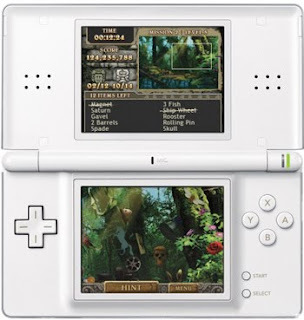 Eleven of the missions are unique to the Nintendo DS where players are challenged to find over 90 hidden objects per scene. They will also earn awards for accomplishing goals within the game and can unlock additional gameplay modes by locating bonus items such as Jade Masks and Mayan Glyphs. Amazing Adventures: The Forgotten Ruins also includes five mini-games, including the new Mah-Jongg and popular Memory Match. The game features unique stylus-based controls, a separate instructions page for easy reference and three individual profiles, so you can pass the game around to family members.